Suffolk, Va.-based Nasoni says its Fontanina is a fundamental reinvention that essentially turns the bath faucet into an easier-to-use fountain. Inspired by the nasone water fountains of Rome, the unit makes rinsing after brushing and shaving much easier. Plus, it also reduces splashing. Fontanina is available in two versions—centerset and widespread. Constructed of solid brass, the unit operates with ceramic disc valves. It features fluid curves and two petal-like lever handles. A third handle creates the water fountain effect for effortless drinking or rinsing with water. 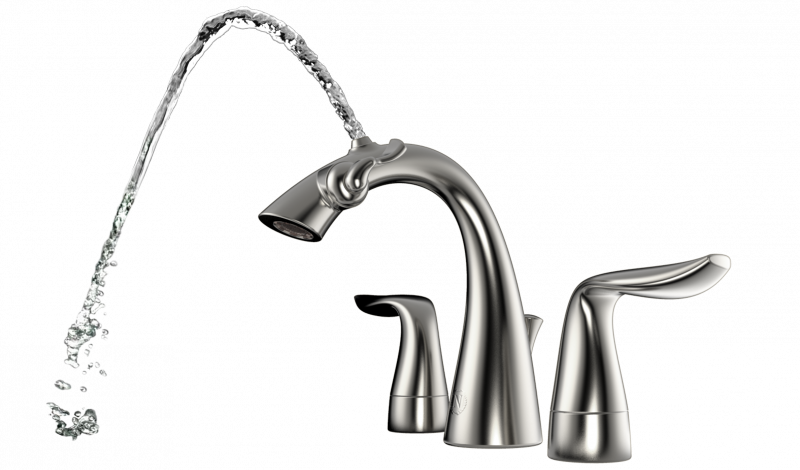 What’s more, the faucet also has an under-counter, inline filter system, so homeowners may get filtered fountain water. It comes in a lightly brushed nickel finish.